Great location; good view of the sea. Comfortable bed. Location location location.. that's the main thing here. Accommodation is very outdated but the beach is right across the street so that's excellent. They're renovating part of the builing, hopefully they'll proceed to update the entire building so that the downsides noted below will be a thing of the past. Everything was good, i arrived on 1 am and all was just like in a day time! 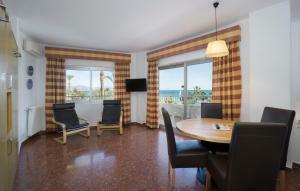 A good hotel at a good location to visit Torremolinos. The beach and all tourist shops and restaurants are near by. We only stayed there one night on our tour but maybe we should stay there somewhat longer in future. Stayed for lunch and it was lovely fresh food and great to sit round the pool. Service was super fast and courteous. Will stay again. Lock in a great price for Apartamentos Bajondillo – rated 8.5 by recent guests! Apartamentos Bajondillo This rating is a reflection of how the property compares to the industry standard when it comes to price, facilities and services available. It's based on a self-evaluation by the property. Use this rating to help choose your stay! One of our top picks in Torremolinos.The beachfront Apartamentos Bajondillo in Torremolinos have an outdoor pool and free Wi-Fi. They offer a wide range of entertainment, and a free airport shuttle. Each of the apartments has a private terrace, some of which offer sea views. They also have small kitchens with a hob and fridge. There is a choice of pillows. The complex also offers self-service laundry. The Bajondillo’s swimming pool is surrounded by gardens with sun loungers and a seasonal pool bar. Guests can also enjoy table tennis, a library and a games room. The property organizes a variety of entertainment programs, both during the day and in the evening, such as live music. There is free onsite parking, as well as secure garage parking at an extra cost. The Bajondillo apartments are just 1.9 mi from Aqualand and 37 mi from Selwo Safari Park. Málaga is just 9.9 mi away. The nearest airport is Malaga Airport, 5 mi from the property. 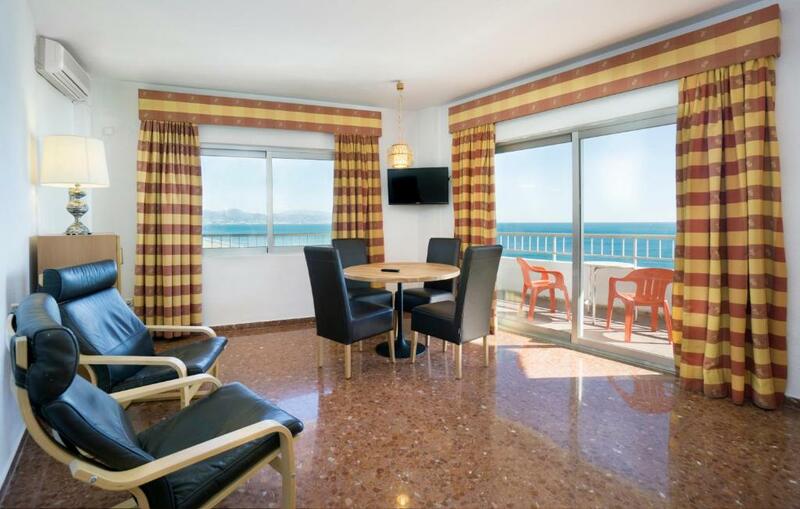 This is our guests' favorite part of Torremolinos, according to independent reviews. 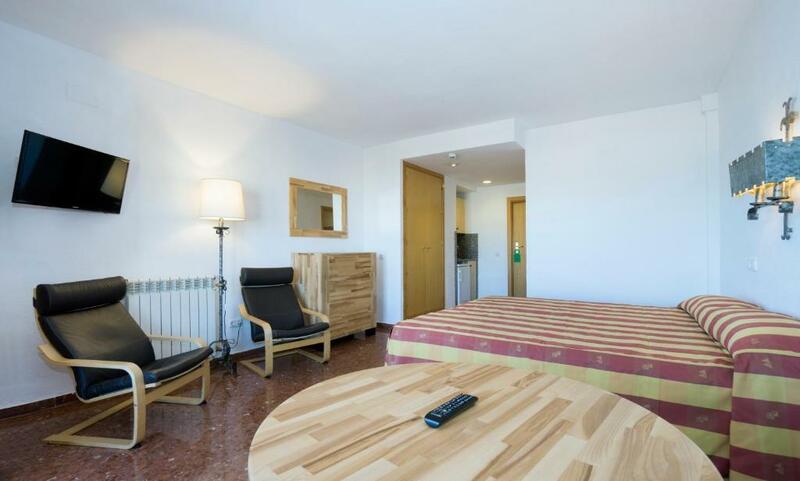 뀐 Located in the real heart of Torremolinos, this property has an excellent location score of 9.4! When would you like to stay at Apartamentos Bajondillo? 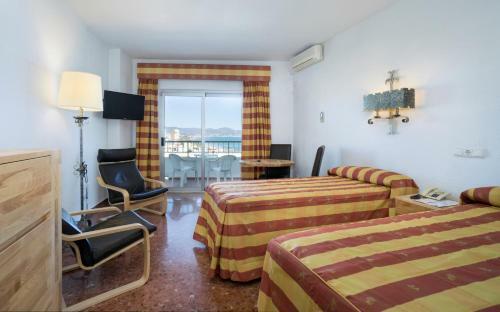 Air-conditioned studio with 2 single beds or 1 double bed and a bathroom with a bathtub. It includes a balcony with side sea views, rental safe and kitchenette with hob and fridge. There is free WiFi. Please note that only 1 additional bed or 1 baby cot can be added to this room. but not both. This air-conditioned apartment has a balcony with side sea views, 1 bedroom with 2 single beds or 1 double bed, rental safe and a living room with 2 single beds, satellite TV and kitchenette with hob and fridge. The bathroom comes with a bathtub. There is free WiFi. 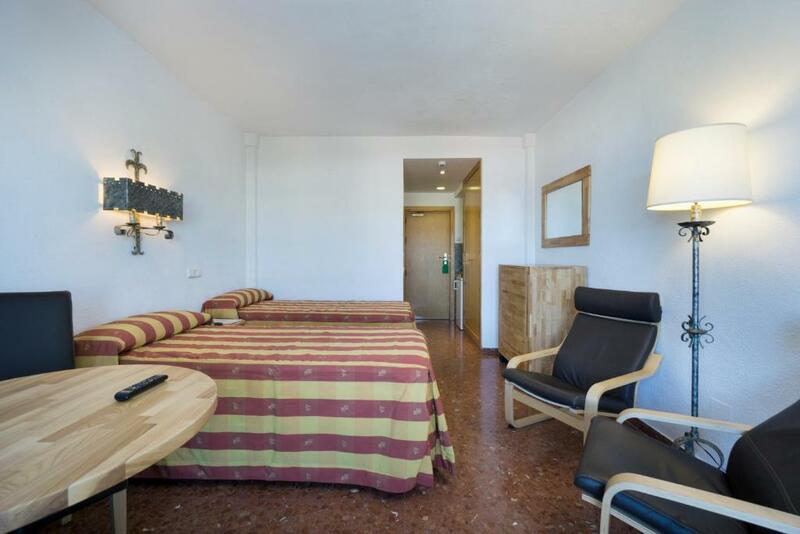 This studio comes with 2 single beds or 1 double bed, a kitchenette with a fridge and stove and a bathroom. There is a balcony with side sea views. Please note that only 1 additional bed for children up to 12 years old or 1 cot can be added to this room. Featuring a balcony with side sea views, this air-conditioned apartment with free WiFi includes a living area with satellite TV. There is 1 double or twin bedroom, as well as 2 single beds in the living room. The apartment has a rental safe, a kitchen and a private bathroom. An extra bed for a child aged 3 to 12 years old can be provided. Featuring a balcony with side sea views, this air-conditioned apartment with free WiFi includes a living area with satellite TV. 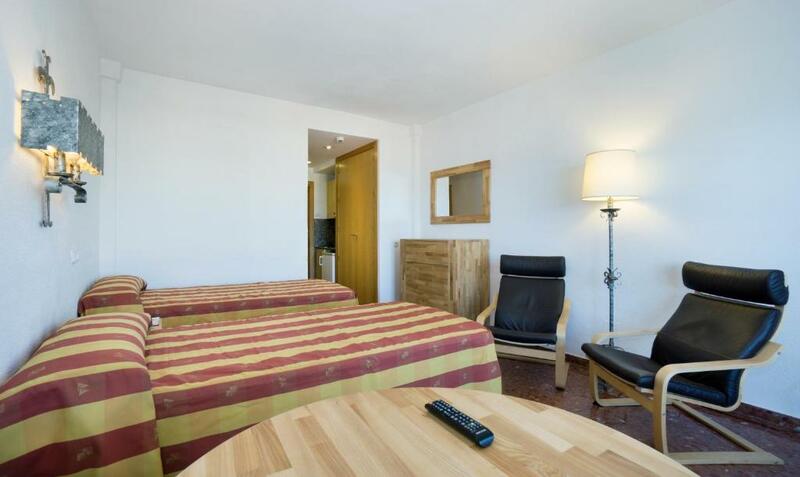 There is 1 double or twin bedroom, as well as 2 single beds in the living room. The apartment has a rental safe, kitchen and a private bathroom. An extra bed for a child aged 3 to 12 years old can be provided. Por su situación, servicios y sobre todo por sus tarifas, Apartamentos Bajondillo puede considerarse la mejor relación calidad-precio de toda la Costa del Sol. En continua reforma de instalaciones para poder superar las expectativas de nuestros clientes. Si decide alojarse con nosotros no se arrepentirá. Soy uno de los responsables que intenta por todos los medios que nuestros clientes tengan una buena experiencia con nosotros. La zona del Bajondillo en Torremolinos destaca por su playa, instalaciones, ambiente y está a un paso del centro de la ciudad al que se llega a través de una original calle peatonal con numerosas tiendas a los lados. House Rules Apartamentos Bajondillo takes special requests – add in the next step! Payment, as per the cancellation policies, is done via a secure link provided by email by Apartamentos Bajondillo after booking. The free shuttle service (to and from the airport) must be requested at least 48 hours in advance. Guests wishing to make use of the service must notify the property of their flight number, flight arrival time and the number of people traveling. The Singer,it vás the same every Night. 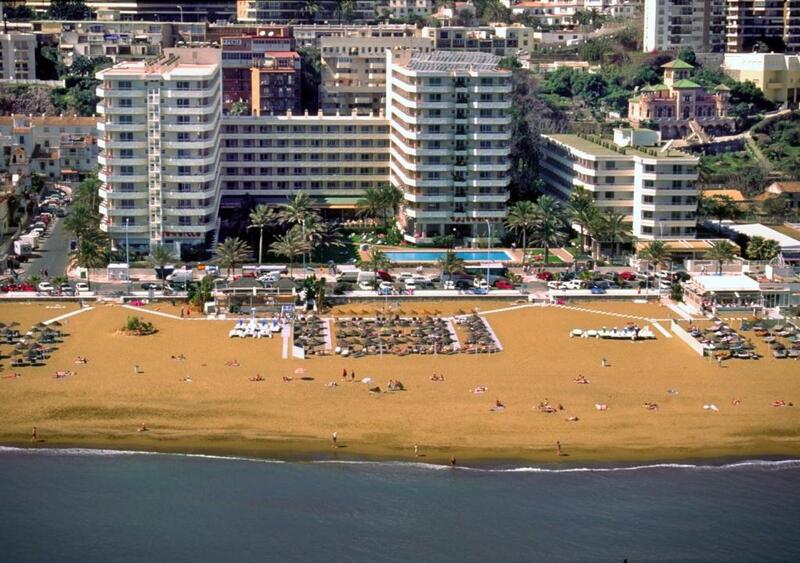 Very good location, nice view from our balcony , big swimming pool, beautiful beach in front of the hotel. The restaurant has good food at affordable price. NO kettle or toaster,catering for the French/Germans,English and Irish like there toast. Although it is not listed in the kitchen equipment on the reservation confirmation, there is no microwave nor kettle. I like the view from my balcony!!! Location can’t be beaten. Very clean rooms. The staff and the hotel are brilliant have nothing but praise for the whole place.